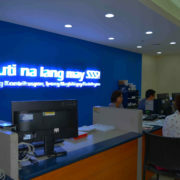 SSS contribution is mandated by the government to all registered businesses in the Philippines employing people. It is compulsory to collect and provide payments to the state insurance fund. 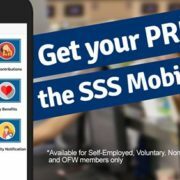 Starting from the first day of an employee, a certain amount would be deducted to their salary to pay to SSS together with the employer’s share. Failure of a company to do so would result to penalties and even court proceedings. It is important to take note of the payment deadlines for contributions and member loans in order to avoid penalties. For employee-members, it is the employers’ duty to pay contributions and loans monthly following the prescribed schedule of payment. Late payments would result to penalties and delays in the processing of employees’ benefits and loans. Example: The employer’s SSS ID Number is 02-0932511-7. Since the last digit is 7, the payment deadline is every 25th day of the month. 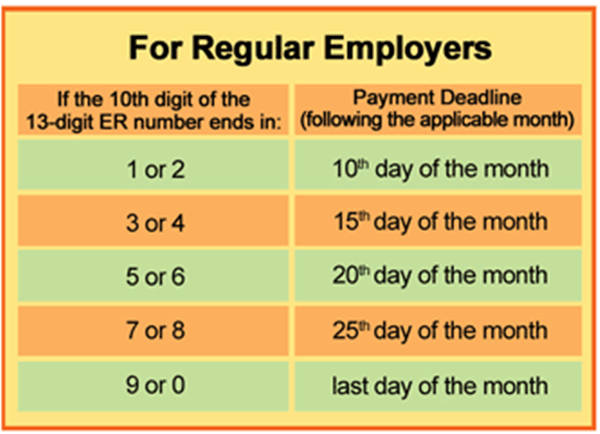 For self-employed or voluntary members, the prescribed schedule of payment also follows the same rule, except it would depend on the 10th digit of the member’s SS number. However, they have an option to pay on a monthly or quarterly basis. A quarter covers three (3) consecutive calendar months ending on the last day of March, June, September and December. Any payment for one, two or all months for a calendar quarter may be made. Example: The self-employed member’s Social Security number is 01-2222222-3. Since the tenth digit is 3, the payment deadline is every 15th day of the month. 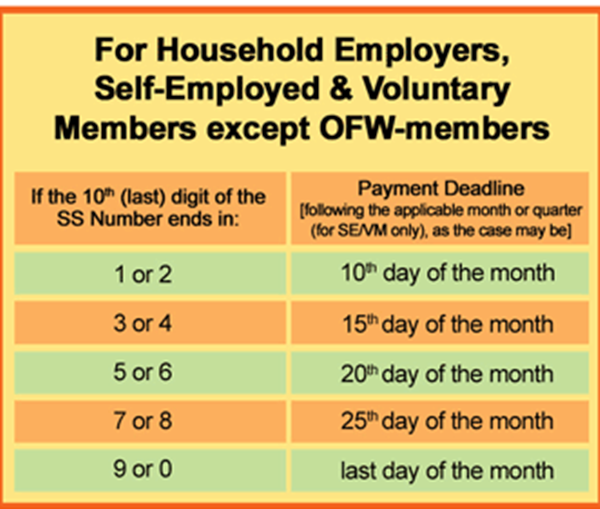 For OFWs contribution, they can pay for the months of January to December of a given year within the same year. Contributions for the months of October to December of a given year may also be paid on or before January 31st of next year. For MEMBER LOANS, payment should be made monthly in accordance with the prescribed schedule of payment which is according to the 10th digit of the SS ID/Number. SSS Guides Copyright © 2019. 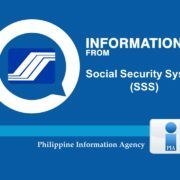 SSS guides is NOT the official website of the Philippine Social Security System. We only intend to provide helpful tutorials and information to help SSS members. We DO NOT collect any information regarding your account, Please DO NOT post or give your information online.